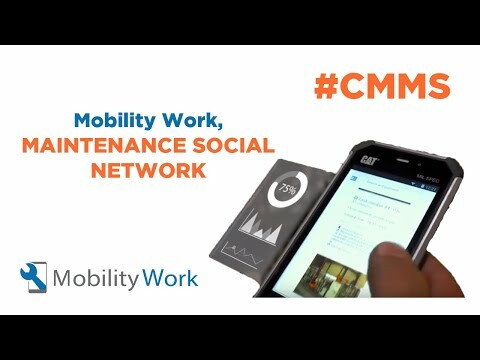 Mobility Work CMMS was officialy launched last May and the platform already registers 150,000 pieces of equipment and 1,000,000 hours of intervention. First, Mobility Work provides a maintenance manager with a simple and user friendly tool to register very quickly all his pieces of equipment (200 per day, without any training session), easily manage his team and follow up interventions. It works like a social media. Then, Mobility Work allows persons working on the same equipment to connect anonymously in order to share good tips or spare parts, compare their machines, establish breakdowns forecasts models.